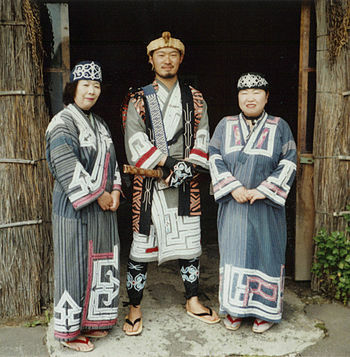 It is obvious that Japanese don’t know about Ainu people. If you ask Japanese Ainu people, you will get short answer such as people living in Hokkaido or “I don’t know”. We live in Japan and why is this happening? I assume that Japan has a lot of history issues. Therefore, government doesn’t teach contemporary history. They don’t want any trouble about history. 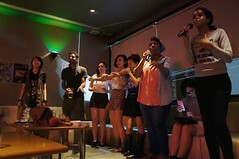 Moreover, it is not easy to know diverse culture and how to deal with it, when we live in an island. People and government officials don’t turn their eyes to culture and they don’t try to teach culture problem or Ainu. Also, members of the Diets are not willing to take any kinds of act because they are very afraid of losing their rights or seats. For example, in India, native was protected by having 41 seats in the Diet. But to have certain percentage of seats in the Diet, somebody is going to lose their jobs. This makes them to hesitate. Moreover, I think people in Japan don’t care history or a native since we are not interested in Ainu or any other history things. In addition, people don’t go to vote, this is critical issue now in Japan. There are a lot of people complaining about politics, pension, heavy tax or leadership in politics, but people who don’t go to vote for those problems are not helping anything. Low voting rates means that politician don’t behave well. As I said above, politician which don’t work for Ainu should change. They need to discuss Ainu rights in the Diet more. I don’t clearly remember that we studied Ainu. However, people need to know our own history and a minority race. A minority race means that those tribes are decreasing, if people don’t care so much. Once they are gone, there is no way to turning back, but what worries me the most is that I have never seen they actually talk about Ainu essentially. I saw several pages on the Internet, saying Ainu talked in the Diet one time or members of the Diet decided Ainu as aboriginal people. However, unlike the United States or Australia, we don’t have law that protect Ainu.